Home Buying & Selling |Attract buyers faster|Find your best home. Do you feel the energy is off in your space, but don't know why? Would you like to learn the name of your home/building? Have you had difficulty selling your home or property? As an intuitive I am able to connect with the energy of your space to determine what may be holding you back or what your space needs to fully support you and the things you want to manifest. Prior to our 30 minute phone appointment, I will Communicate with your space and also perform a remote Energetic Clearing. Does the home you are considering purchasing have good Feng Shui? Will your family Prosper there? Will your Health be good and your Career be successful? A Feng Shui Prospective Home Purchase Analysis will help you decide if this home is right for you! Are you having trouble selling your home? Are you a realtor and have a listing on the market too long? 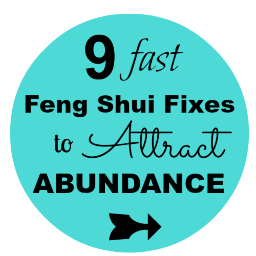 A Feng Shui tune up will attract the right buyer so your home will sell faster!! ♥ Clearings are particularly important if there has been a death in the home, a lot of arguing or if the home has had a lot of issues. * 30 minutes travel time free. A $25 travel charge will apply for each additional 30 minutes. Virtual consults are available via Zoom or Skype. This is my 30th year selling real estate. The hardest part of selling a home is after a loved one has passed away in the home. There feels like there is sadness still present. In MN we don’t have to disclose a natural death to potential buyers. Although some cultures ask and if there has been they have a ritual and then proceed with buying the home. At one of our networking meetings Kim Julen had mentioned she is doing ‘clearing of homes’ as part of her Feng Shui services. The timing was beautiful for me. I had a home on the market that my client’s sister passed away in and we had it on the market too long. The pipes froze, so she had to take it off the market, get it repaired so we could put it back on. This added to the length of time, but other things in the home were never right for each buyer who looked. The price kept lowering. I decided to give this a try. I had already been praying for a buyer, so every part of the process felt good and peaceful. The required actions were simple to do and made sense to me. The second showing that happened I had an accepted purchase agreement. My seller enjoyed the closing listening to the buyer’s state all the great things in the home they loved when they looked at it. The timing was perfect as they were about to take their home off the market . They let one more buyer see their home and received an offer. Everyone left there with smiles on their faces and ready to move on.